Last year was the least volatile in stock market history of decades. Traders who historically have profited off of pricing swings have given their jobs to high-frequency trading algorithms run by computers that act on the millisecond. On Wall Street, humans are a commodity being replaced by machines, and yet four years of volatility in the stock market can be covered in a month of pricing movements in the cryptocurrency markets. Veteran cryptocurrency investors know this to be a fact, but exactly why is this asset class more volatile than any other liquid asset in the matket ? 1. 1. No intrinsic valueDespite company sized valuations, cryptocurrencies don’t sell a product, earn revenue or employ thousands of people. They generally don’t return dividends, and just a tiny amount of the total value of the currency goes into evolving it. Because of this, it is hard to value. How do we know if it is overbought or oversold? When is it a good value or overpriced? Without any fundamentals to base this information off of, we can only rely on market sentiment, often dictated by the media that makes money on viewership. 2. 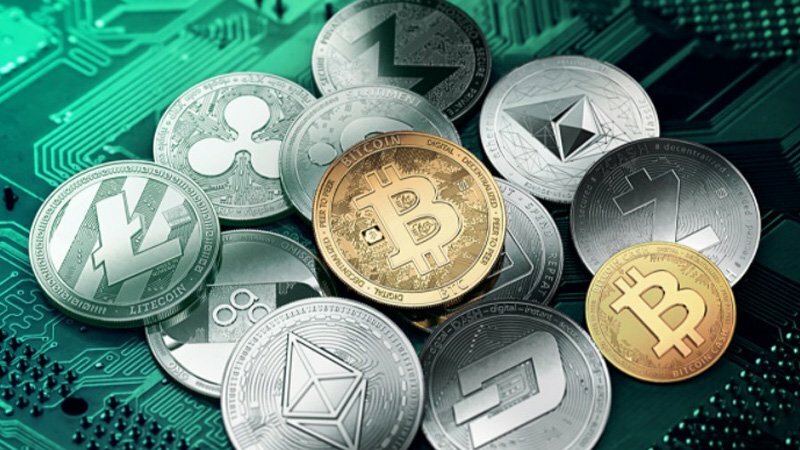 Lack of institutional capital While it is undeniable that some pretty impressive venture capital companies, hedge funds and high net-worth individuals are both fans of and investors in crypto, as a segment, most of the institutional capital is still on the sidelines. As of this writing, we have limited momentum on a crypto ETF or mutual fund. Most banking heads admit that there’s some validity in the space, but have yet to commit significant capital or participation publicly. Institutional capital comes in a variety of forms, such as a large trading desk that has the potential to introduce efficiency and soften market volatility, or a mutual fund buying on behalf of their investors for the long term. Crypto investors are taught to never keep coins on an exchange, which can be hacked. As a result, most of the tradable supply is not on an exchange order book but in off-exchange wallets. In contrast, nearly all of the tradable stock of a publicly listed company is transacted on a single exchange. A large market order can eat into an exchanges order book on the way up or down, causing something called “slippage.” We saw an exaggerated example of this in GDAX Ether flash crash, but less extreme versions of this occur on a daily basis. Because of the capacity for large traders to move the market in either direction and employ tactics to encourage this, volatility goes up. 4:Long term vs. short term If you invest into something that you don’t expect to take out until you’re 60 years old, then you are probably less concerned about it’s daily or even yearly price movements, thus you’re less likely to trade it. Cryptocurrencies, for the most part, can’t be bought in retirement accounts, and are generally inaccessible to retail brokers and financial advisors, so an entire ecosystem of investors is left out. This leaves us with early adopters that are comfortable with the technology hurdle of dealing with wallets, and web-based trading platforms, the same ones that are refreshing Blockfolio every 10 minutes, high-fiving each other when the coins moon, or sweating in a panic when the price drops. These are the same kind of people who don’t have the discipline to just buy and hold for the long run, and therefore contribute to the panic sells or FOMO buys. i hope you like the article . You got a 3.26% upvote from @upmewhale courtesy of @abdullahkhattak! Congratulations @abdullahkhattak! You have received a personal award!